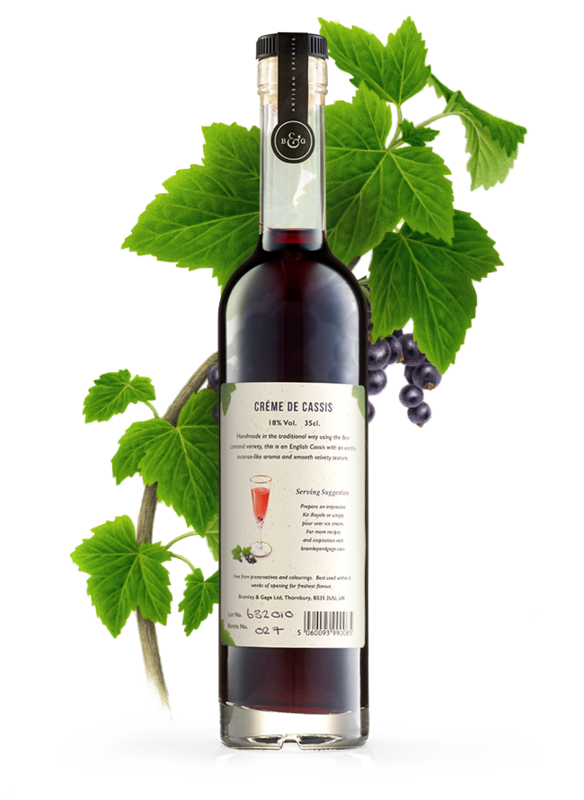 Home/Bramley & Gage/Creme De Cassis (35cl) 18% ABV. 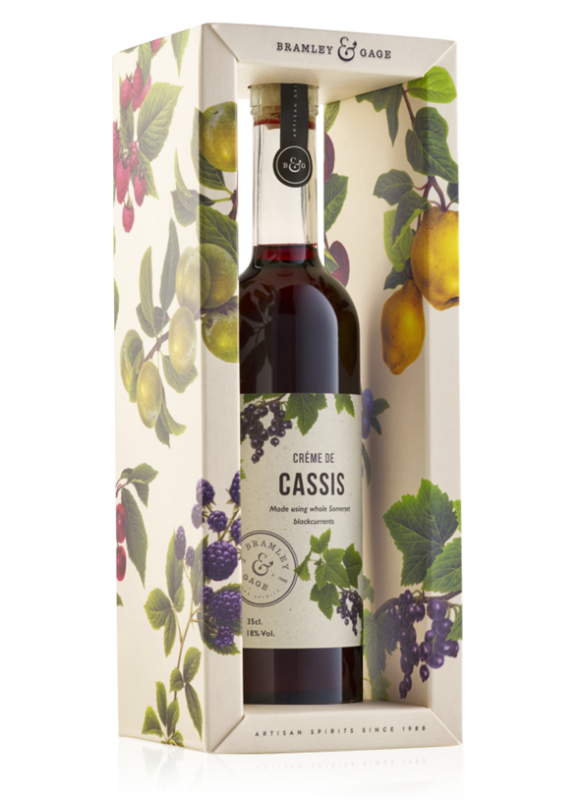 We use only fresh blackcurrants, the liqueur has an earthy incense like perfume and taste, and brings to mind summer days picking them. The flavour is very powerful, and will add interest and zing to dishes both sweet and savoury. Our English Crème de Cassis replaces our previous Blackcurrant Liqueur range. Because we use only fresh blackcurrants, the liqueur has an earthy incense like perfume and taste, and brings to mind summer days picking them. The flavour is very powerful, and will add interest and zing to dishes both sweet and savoury. Crème de cassis has a high sugar content, typically 400 grams per litre. It makes an excellent ‘Kir’ and many people use it for this but it’s also fantastic simply poured over ice cream. Ripe berry fruitiness bursting in the mouth, followed by classic blackcurrant earthiness. 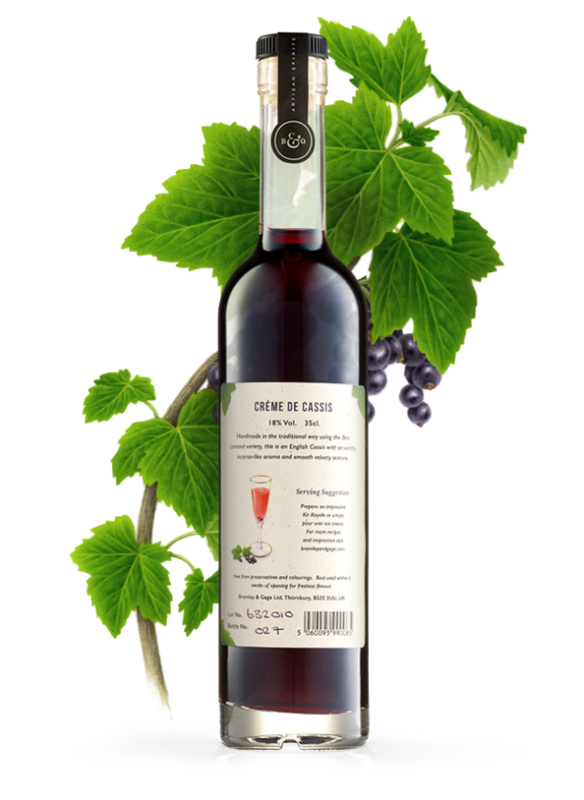 Plenty of sweetness balanced by strength and tartness of the fruit. Rich, creamy mouthfeel. The taste lasts almost endlessly on the palette.